There are many reasons why some people are thinking about drinking raw milk these days. (Raw milk is milk that has not been pasteurized to kill harmful germs.) Some people want to eat less processed food. Others have heard that raw milk contains more of certain nutrients than pasteurized milk, or that it can prevent or even solve various health problems. Still others think of buying raw milk as one way to support local farmers and sustainable agriculture. I know firsthand how animals and their germs can contaminate all kinds of food, including milk. 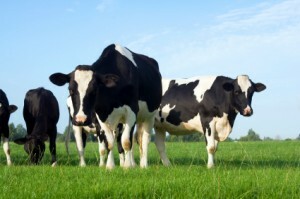 Also, in my job in the Outbreak Response and Prevention Branch at CDC, I help investigate outbreaks caused by contaminated food and contact with infected animals.If you’re thinking about adding raw milk to your diet (or your family’s diet), it’s important for you to understand the risks of drinking raw milk. Raw milk can carry harmful bacteria and other germs that can make you very sick or kill you. Yes, it’s true that it’s possible to get “food poisoning” or foodborne illnesses from many foods, but raw milk is one of the riskiest of all. Raw milk and products made from raw milk (such as cheeses and yogurts) can cause serious infections, such as Salmonella, Listeria, and E. coli. Getting sick from raw milk can mean many days of diarrhea, stomach cramping, and vomiting. Less commonly, it can mean kidney failure, paralysis, chronic disorders, and even death. The seriousness of the illness is determined by many factors, such as the type of germ, the amount of contamination, and the person’s immune defenses. Speaking of immune defenses… it’s important to remember that some people are at higher risk of getting sick from drinking raw milk. The risk is greater for certain age groups, such as infants, young children, and older adults. It’s also particularly risky for pregnant women (and their unborn babies) and those with weakened immune systems, such as people with cancer, an organ transplant, or HIV/AIDS. Though some people are at higher risk of getting sick from raw milk, even healthy adults and older children can get seriously ill. Those who recover often suffer from life-long medical consequences. To see how devastating these illnesses can be, check out these real-life stories about the dangers of raw milk. 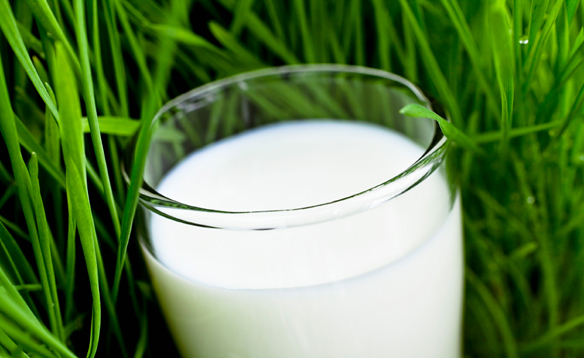 Outbreaks of illness related to raw milk have been traced back to both grass-fed and grain-fed animals. Raw milk supplied by “certified,” “organic,” or “local dairies has no guarantee of being safe. Always drink pasteurized milk. Check the label or package to be sure. If you prefer organic milk, make sure that it’s pasteurized. Raw, organic milk is not safe. If you or a member of your family consumes raw milk and then becomes ill, call your health care provider immediately. If it’s an emergency, call 911. For more information, including questions and answers about raw milk, see Food Safety and Raw Milk (CDC). A dairy is typically located on a dedicated dairy farm or section of a multi-purpose farm that is concerned with the harvesting of milk..Terminology differs between countries. For example in the a farm building where milk is harvesting is often called a milking parlor. In such a building is historically know as the milking shed – although in recent years there has been a progressive change to call such a building a farm dairy..In some countries especially those with small numbers of animals being milked as well as harvesting the milk from an animal the dairy may also process the milk into and for example.